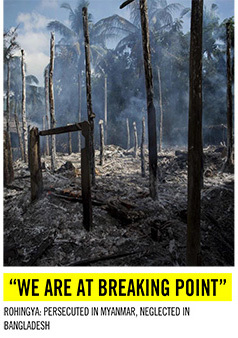 Home › Media › International › Will Rohingya crisis be solved? Rohingya community from the Arankan state of Myanmar fleeing military violence and a slow burning genocide against them have been taking refuge in Bangladesh for nearly three decades now. Time and again, Bangladesh has opened its border on humanitarian ground. However, the humanitarian responsibility as a nation is not on Bangladesh’s shoulder alone, the international community must respond not just in the form of aid and relief but through political resolutions as well. Mohiuddin Mahi urges all to think about a sustainable resolution to the cause of Rahingya community. THE Rohingyas, an ethnic minority of Myanmar, fled violence by Myanmar’s security forces in their homeland of Rakhine State to safety into Bangladesh. 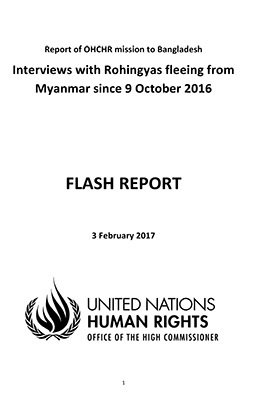 The security forces of Myanmar began persecution of them, in the latest spate on August 25, 2017, in an apparent ‘ethnic cleansing’ efforts. The Rohingyas, about 7,00,000 of whom have fled to Bangladesh in about a year since August 2017, thus, came to be the most number of people to have fled from their land in the world at present. About 4,00,000 Rohingyas have already lived in Bangladesh since the late 1970s because of similar persecution of and repression against them in Rakhine State. A resolution of the crisis is becoming further complicated as day rolls on. Bangladesh has become the worst sufferer of the crisis. The international communities are supporting the Rohingyas that Bangladesh have sheltered by way of relief supplies and other humanitarian activities. But no effective efforts are in sight for a sustainable solution to the crisis or the repatriation of the Rohingyas that live in Bangladesh. The gut-wrenching stories of them leaving their country from torture, brutal violence on women, death of people in front of their relatives, children, and elderly people being killed have been coming up for some time. They came here to avoid being killed, being raped and being burnt in the fire. Some left their family, some saw the family die. Someone carried his mother on shoulder or in a basket to safety. Their purposes were only to save their life. But their needs are now changing. Bangladesh sheltered the Rohingyas quickly showing humanity then. But they are now really a big burden for us. Criminal trends are increasing noticeably around the Rohingya camps. Lastly, six dead body including three cutthroats were rescued this year, on 3rd September, there. The people of Bangladesh stand by them introducing their liberal mentality. Political leaders have even bagged bragging title like ‘mother of humanity’ by showcasing sympathy to them. Not only as a Muslim, though religious identity was a big factor in forming popular consent, Bangladeshis stand by them with the highest standard of humanity. People of different social groups and communities, social workers, social organisations, stood beside them with intrepidity. Earlier, there were two camps for Rohingya in Cox’s Bazar, Kutupalong and Nowa Para Mukini. But now, the numbers of camps reached to ten. As if Bangladesh has brought a calamity by its own imprudence. As hurried we are as to solve the crisis, Rohingya problem is going towards more complexities. The number of Rohingyas, even though they are supposed to be repatriated, are increasing proportionally. In the last one year, at least 60 thousand Rohingya children were born to make their number even bigger. However, no effective steps have actually been taken of the proposals at different times from the international communities to return Rohingyas. Rather, the only permanent camps with the help of various non-government organisations for them are being effective. Local cultivable lands are being used to make these permanent camps. Besides, the conscious people are concerned about their children such as these non-government organisations are recruiting local school or college going students to look over the camps. ‘Earlier, our children thought they would be studying, they would go big on their dreams, but for the ongoing jobs of NGOs, they are giving priority to jobs than education. If they earn money as easily and at this level, why would they like to prioratise their education? If this continues, we will lose a large portion of our next generation’, said Zia Uddin, a local politician. Around the camps, evil deeds like stealing, robbery and murder are increasing. 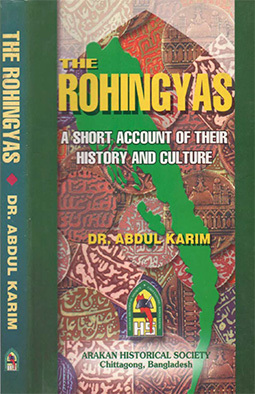 The Rohingyas are spreading among the locals. In last March, a huge clash occurred with locals centered on obstructing Rohingyas’ illegal trade. About 25 people were injured including local Union Parishad chairman and five policemen in Thyngkhali. Later, Border Guards of Bangladesh and the police came and controlled the situation. On 25th August, about 50 thousand Rohingyas came out on the streets and blocked the road for nearly an hour. Many such events are happening forcing us to think over the refugee community otherwise. After UNSC meeting, all the representatives just excoriated Myanmar. As if their jobs are limited in criticising the delinquent. But all of their endeavours are confined in statements or briefings. Now the question is will the crisis end at all or take more complex turns in the future?